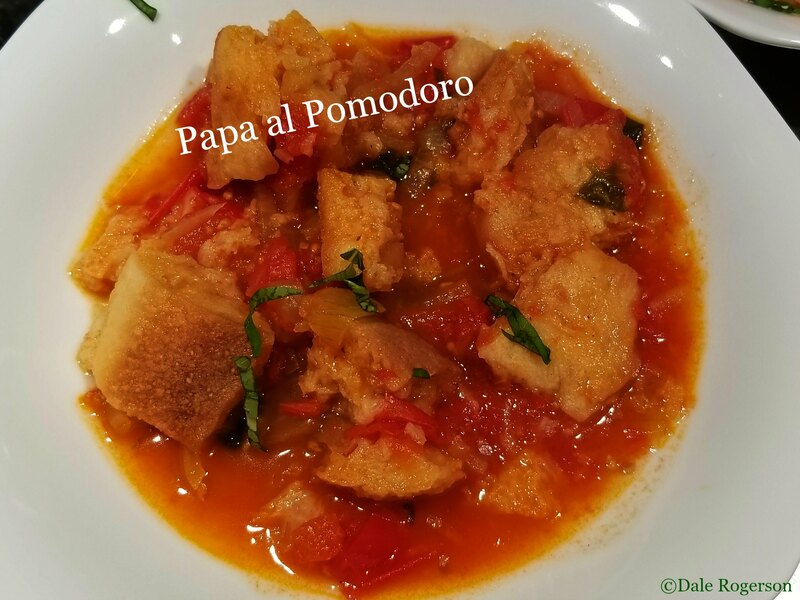 This entry was posted in Cook in Tuscany, Cooking Lessons, Family, Food, Gratitude, Love, Pasta, Soups, Tuscany and tagged bruschette, cantucci, Castel Giocondo, chianti, Frescobaldi, panna cotta, pears, pici, pork, tomato soup, Tuscany. Bookmark the permalink. Grazie mille! I am so very glad you enjoyed my feast virtually. That music was playing in the background all evening. Simply yum. You had me at the soup … actually one of my favs! …. 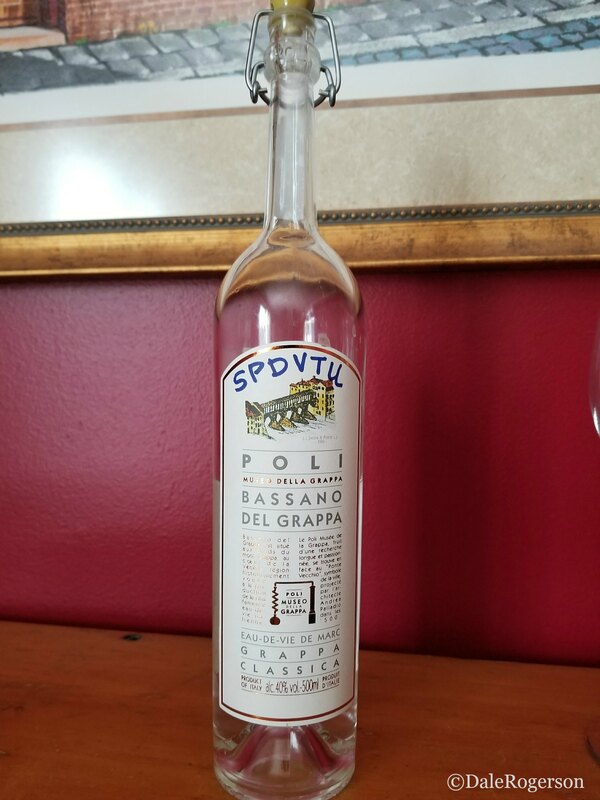 but then the Brunello … oh my … you are too nice! Well done .. and a toast to the hostess! Grazie Frank. It is so delicious. Next time, I’ll make the bread croutons a tad smaller. Or not! 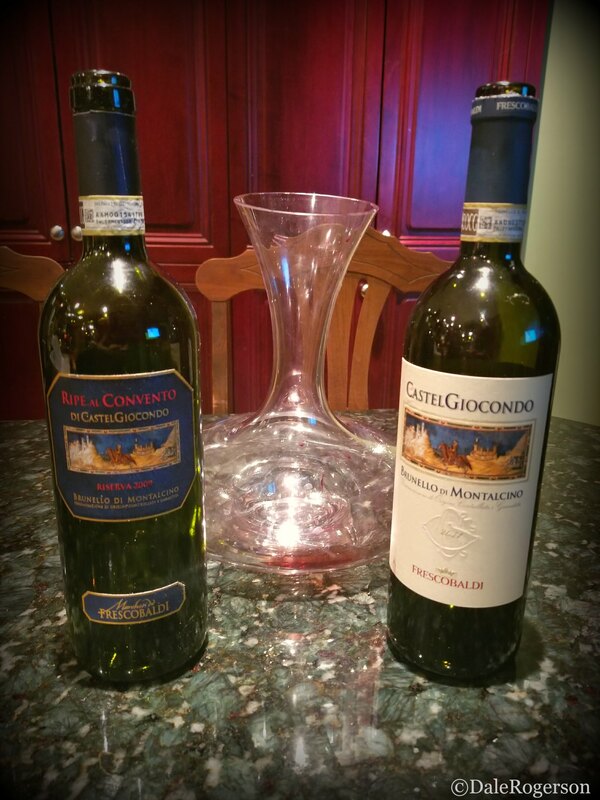 The Brunello – oh my. Sooooo good. Both bottles. Of course the record shows that I was not invited. LOL … but still not a consolation. Well darn it… la prossima volta! IF I ever hear you were in my neck of the woods and didn’t let me know…. LOL … and I can honestly I haven’t been since we’ve cyber-met. Oops .. correct … We flew near your town on flight from Munich to Toronto … saw it on the flight map. Whew … I had a parachute but they wouldn’t let me jump. Oh dear… just as well… what if you overshot? I don’t know … never parachuted before. Actually, my sister can’t do dairy so I didn’t make the eggplant Parmesan. So that’s what you get! I am so very glad you took the time to read this, Professore! I tried to take at least one item from each class… just so happened to make three from You! Cannot find barlotti beans here! Yes. They enjoyed participating. Makes it so much more fun. I agree with our Anthony Bourdain..I think I would have felt the same! Woo hoo! Mille grazie cara amica! Love the music and the food Dale. Reading a lot about Tuscany! Thank you, Arlene. I’m still dreaming of it and have to return soon. What a feast! This is worth 10 “love” buttons on FB, at least. I am gaga over the succulent souvenirs you brought back from Tuscany. Such a brilliant gift you have, that you can replicate the dishes of a certain region as if you were still basking in that sun. You have sated my appetite while at the same time whetting it even that much more! BOTH! Well now… I will admit that was an over-the-top feast and am glad you enjoyed the show, so to speak. It does bring me much joy to share my food with friends and family. Thank you, most kindly for your exuberance! No . . thank YOU! It sounds and looks amazing! One place I would love to go is Tuscany. I cook but I am horrible at following directions and recipes! It works for Mexican food because that’s in my blood but not sure basic meat sauce! Thank you, Corina! It is a magical place and worth a visit one day! Had to come back and say thank you for this delightful post, even if it is the biggest tease. It’s delightful. You’re quite the food writer, tell ya what. And so . . . pour vous. And I thank you again… Maybe I should market myself, eh? Market yourself. YES. DEFINITELY. YES. And waking up at that time. I forget what that feels like! Think so? Well lemme see what I can do. And, it’s not that late! Wasn’t much past 7! My 3.5 hours of sleep the night before was insufficient. One must try to get one’s beauty sleep, ya know. First off, when can I move to your neighborhood? I will just happen to “stop by” around dinner hour quite often:). Second, beautiful! You made my mouth water with those pics. And third, happy to see you continuing with joy. Here’s to oodles of it . . . So very glad you enjoyed my feast, albeit virtually. Yes. Joy. Always finding joy. These picture got me hungry and I feel like visiting Italy and eating their delicious food. Thank you, Dale for this. Thanks for stopping by, Charlie. So very glad you enjoyed! Food is the soul, food is love. A glorious feast, Dale. Your trip to Tuscany reincarnated. 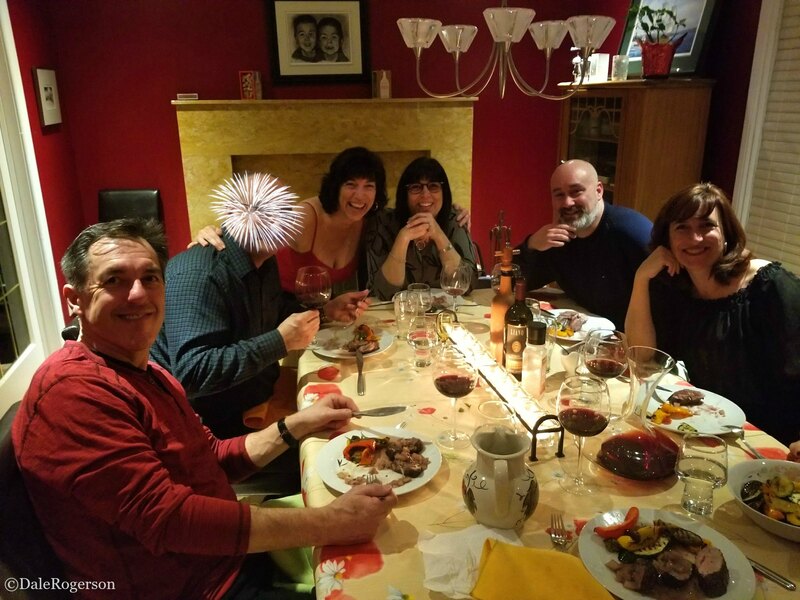 Beautiful food and friends. I love the quotes you pitched in for good measure. Thank you, Ina! It’s what I was attempting to do! Your Tuscan night speaks to this humble peasant and more importantly to the vernacular of food. A side from the bottled octane fueling the fun, the food prep, the food, the family, as it should be enjoying simple pleasures with great spirit. Just a guess, this was not a quiet affair. 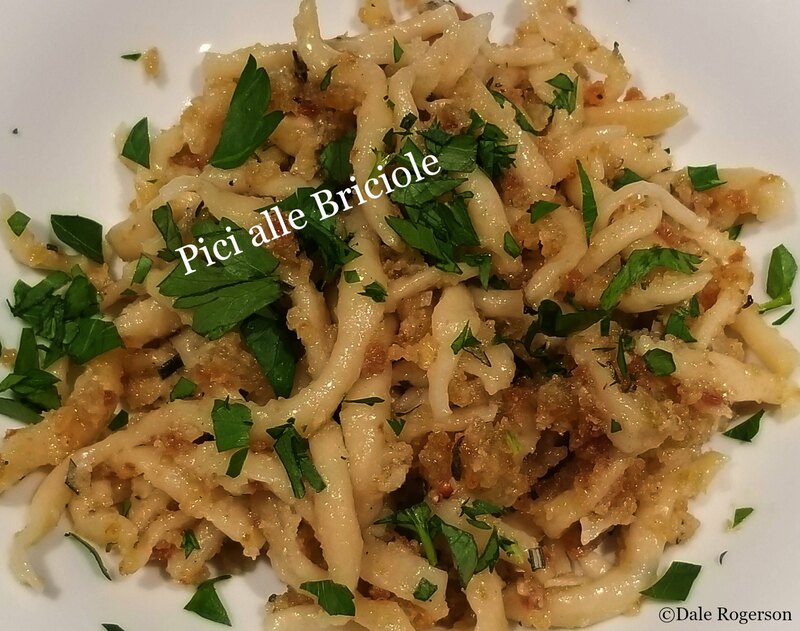 My fav, pici alle briciole. My dear Calvin. Food, wine and yes, you are correct. 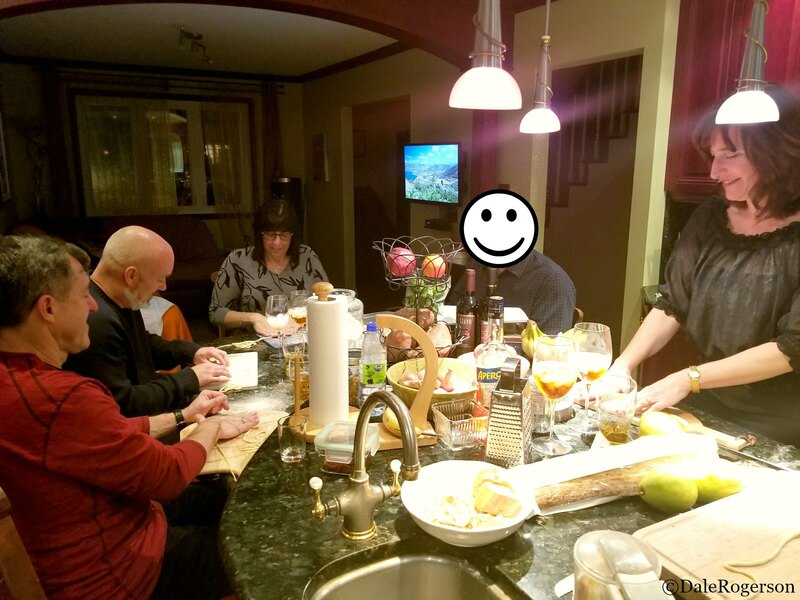 My sisters and brothers-in-law – and yes, yours truly, could easily pass for a true rambunctious Italiano famiglia. I cannot lie. Pici was a hit and my fave as well. I grew up kinda-sorta rough and tumble. Food was simple, most, if not all of it grown in our gardens. But food was never just nourishment but rather love hugs. Your Tuscan Hug Fest brought back some memories. I think that’s great – to have been brought up with a garden. Food is definitely love hugs. But then, I am repeating myself, aren’t I? This dude is gonna make out like a bandit! But that’s coool. We get Quebec on her Tuscany inspired flavah tour! Hah! Mind you, he has eaten my food… maybe he’ll be easy to convince. Keep ya posted. And you’re NOT an Italian wannabe. You received your documentation with that feast . . you’re in! Well… don’t think there is a single Italian gene in me. However… as far as willingness! I AM a nudge, by the way. Or is it noodge? lol . . .
Ugh. Never got the whole catsup thing… Who thought that one up? The Chinese. It was pronounced ketsup, or something like that. ‘Cox the Chinese use ketchup …. Yep, before somebody invented duck sauce. Oops, was THAT cultural appropriation? Was that a Chinese food joke? Not sure… I’ll have it analysed and get back to you. Hours later, back at the lab, Dale finds a clue that just might break the case . . .